Description: The Jamestown settlement in the Colony of Virginia was the first permanent settlement in the Americas. Jamestown was established May 14, 1607 and served as the capital of the colony until 1699. 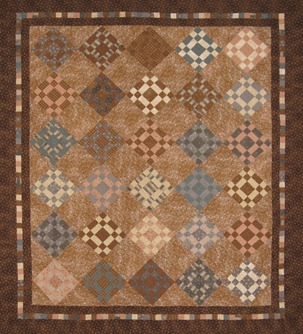 This quilt is made with the Settlement fabric collection by Windham fabrics and Jeanne Horton. This fabric will be available in March, 2015.